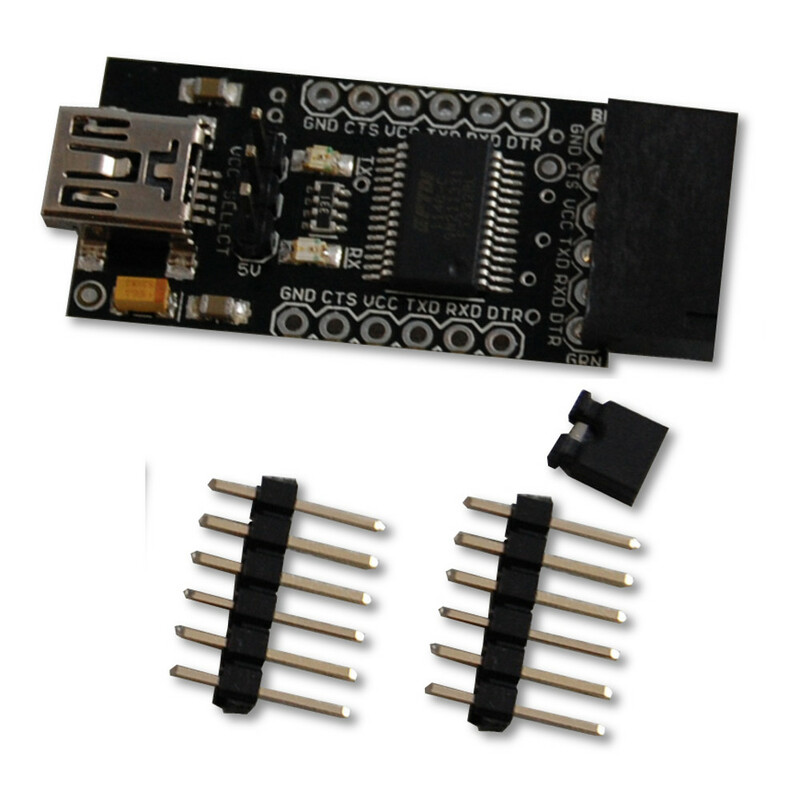 The OSEPP FTDI is a USB-to-serial (TTL) converter for serial communication with devices like the OSEPP Pro and Pro Mini boards. The board uses the popular FT232RL chip from FTDI. The pinout is designed to work with Arduino and compatible boards that do not have a built-in USB-to-serial converter, such as the Pro and Pro Mini. The pin VCC can be easily configured to be 3.3 or 5 V by placement of a jumper. This allows the board to be used with boards that operate on either 3.3 or 5 V nominal voltage. The FTDI board is designed for flexible connections to other boards. For example, its female header connects easily to the male pin header of the OSEPP Pro. Furthermore, connecting the provided male pin headers to the female pin header allows connections to pinout of the Pro Mini. The male pin headers can also be soldered to the FTDI board to make it breadboard mountable. Drivers for the Virtual COM Port (VCP) is available for virtually all mainstream operating systems.